This one’s still working if you haven’t scored it yet. 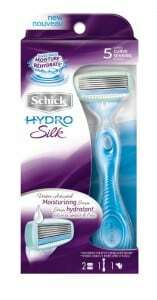 Text SCHICK to 24444 and you’ll get a text back with a unique link that you can use to request a free Schick Hydro Silk Razor. It took about an hour for them to reply back to me. Allow 6-8 weeks for delivery by mail. In May I did this and it worked the razor came in the mail alittle over a month later. Sweet! I just received the custom link. 🙂 Thank you for sharing this. Odd. I haven’t had any problems with anything else I’ve signed up for. I got mine! Thanks for posting! Got premium message. Do you text shick first or 24444? wouldn’t accept any of my email addresses! Worked for me. You text 24444 where the phone number would go and Shick in the message. Mine gave me the link immediately. I have Sprint. it’s not working I try and send the text and it keeps telling me that there is an error. I got mine in the mail! Thanks!! just got mine! no issues at all…you all can get yours too!